As we practice those bird-calls, we might send reverent birthday wishes to warrior, poet and philosopher Guru Gobind Singh (at birth, Gobind Rai); he was born on this date in 1666. 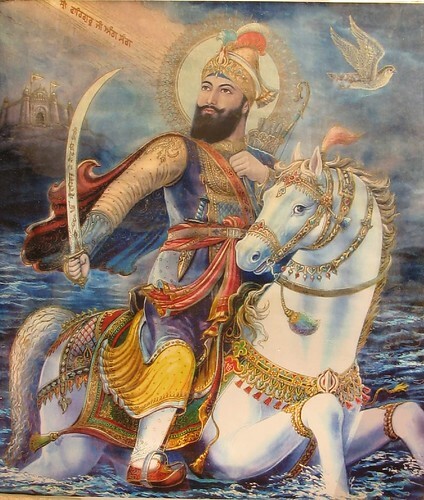 Gobind Singh was the last of the sacred line of “ten Sikh gurus,” succeeding his father, Guru Tegh Bahadur, as the leader of Sikhs at the age of nine. It was Gobind Singh who formalized the faith, and in 1699, turned what had been a sect of believers into the full-fledged religion.